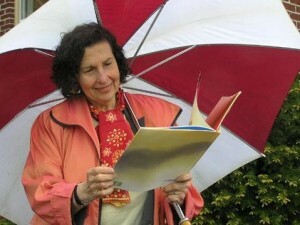 Dorothy Schwartz—or Deedee, as she was known to most of us (1938 – 2014), was Executive Director of the Maine Humanities Council from 1985 through 2006, and remained a close contact and advisor well after her retirement. Deedee founded the model of the modern humanities council with her ambitious idea that programming should be a huge part of a council’s mission. Under her leadership, the Maine Humanities Council developed programming—including targeted grants—in literature and literacy, teacher enrichment, cultural heritage and contemporary issues that would reach Mainers of all ages, education and economic levels. Person by person, project by project, community by community, the Maine Humanities Council has touched nearly every part of the state, and Deedee made that happen. Deedee’s vision led MHC to distinction on a national level as well, and she was held in high esteem among her colleagues at the other 55 humanities councils, where many of the Maine Humanities Council’s innovative programs had been adopted. During her tenure, MHC was the recipient of numerous Exemplary Awards from the National Endowment for the Humanities, and had been honored by the American Association of State and Local History and the Federation of State Humanities Councils. In the service of rigorous teacher enrichment programs, MHC was awarded eight major NEH grants, as well as two US Department of Education Teaching American History grants—the only grants of this kind to ever come to Maine. Deedee inaugurated the Harriet P. Henry Center for the Book, Maine’s state affiliate of the Library of Congress Center for the Book, and strengthened it through a successful capital campaign that allowed MHC to purchase its first permanent offices and establish a core endowment. Beyond her energetic and innovative promotion of the humanities, Deedee compiled an outstanding record of engagement in civic and cultural affairs within the state and beyond its borders. This is a mere snapshot of Deedee Schwartz, a stalwart advocate of the humanities. Imaginative and ambitious, Deedee felt that the humanities should be available to and enjoyed by all people, a vision that the Maine Humanities Council continues to uphold.